The Nero/Botticino diamond mosaic is a classic combination. The mosaic consists of individually tumbled 25mm marble chips which are wonderfully tactile, on a mesh backed sheet 300x300mm. 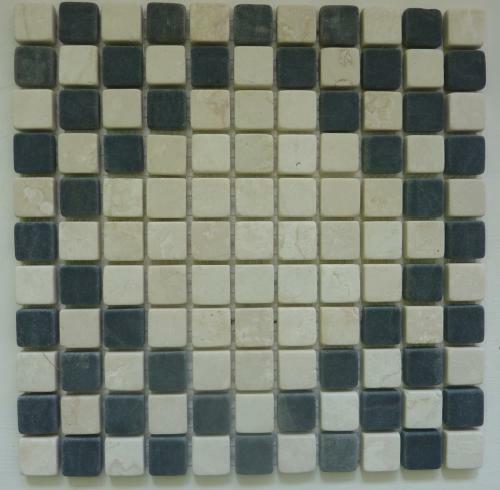 The Italian marble used in this mosaic is of outstanding quality and sourced from quarries in the north of Italy. The family owned business is well established and known for producing a range of quality marbles and premium material.